I am a “fall” person. I just love fall and everything about it. I think it probably has to do with the fact that I live in the south and do not like hot weather (I know, it’s weird). I know when I feel that first fall breeze, the end of humid summer days are coming to an end. . at least for a few days down here, and I can pull out my fall decorations! 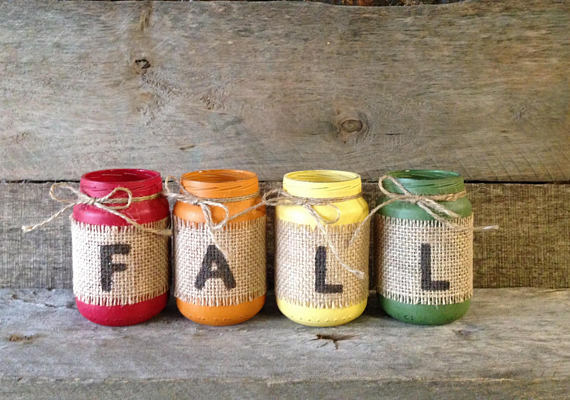 If you like decorating for each season, check out these fabulous fall decorations. If you like rustic decor, this mason jar lid pumpkin is for you! It is the perfect centerpiece for the table, mantle, or shelf. 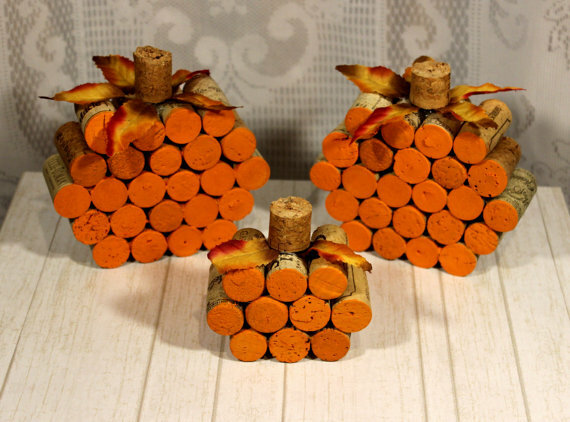 If you love wine and pumpkins, this is the perfect decoration for you! It’s really cute, and is a small enough decoration to sit next to your wine bottles or bar. 3. 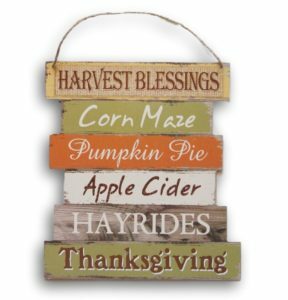 Pumpkin/Harvest Fall Decor Sign. 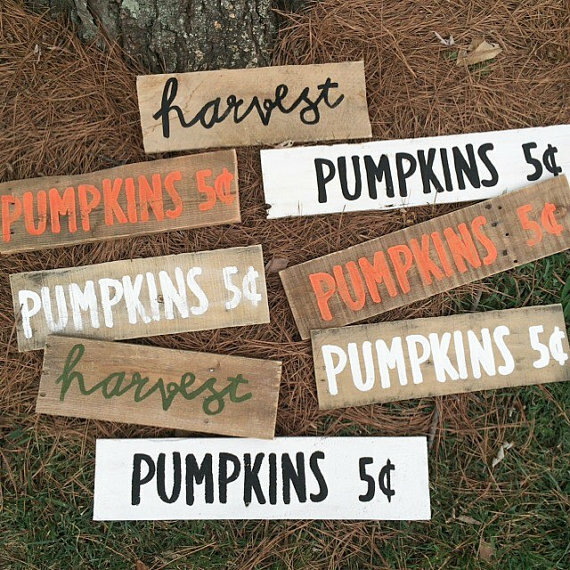 These hand painted harvest and pumpkin signs are so cute, and make the perfect fall decoration for inside or outside. 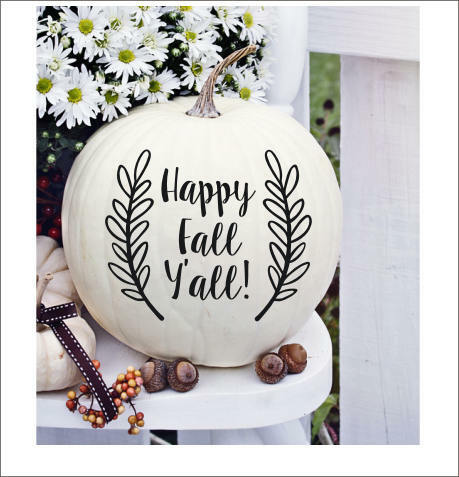 Nothing says fall like gathering together for big meals, hayrides, or bonfires with friends and family. 5. Reversible Hello Fall/Noel Sign. I LOVE the reversible signs! I feel like I’m saving money because I’m getting two season out of one decoration. 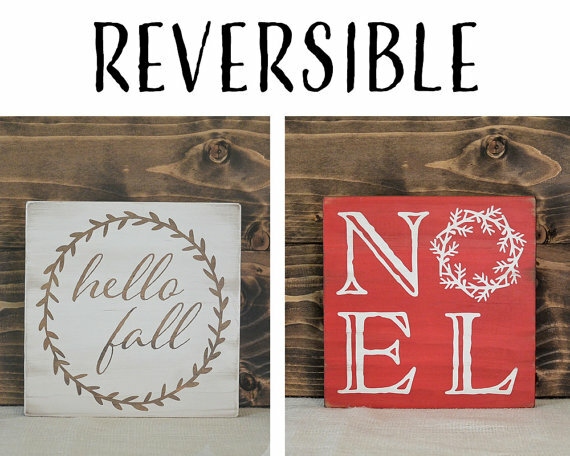 If you’re the same way, you will love this reversible Hello Fall/Noel Sign. 6. 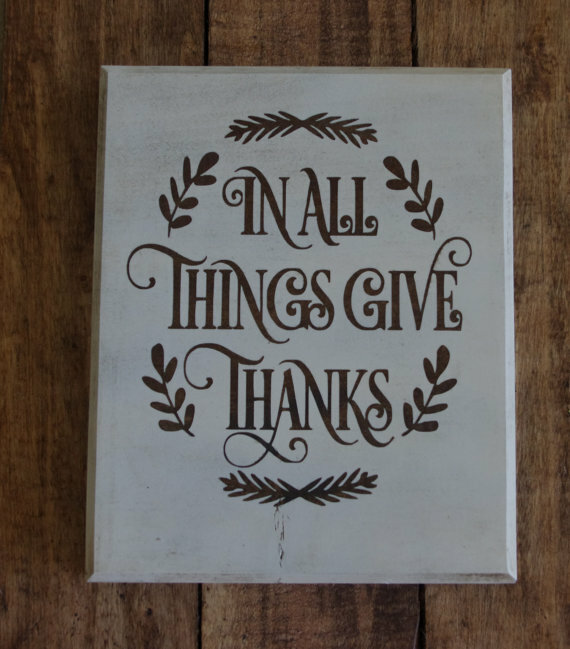 In All Things Give Thanks Sign. You can’t celebrate fall without celebrating Thanksgiving. I love that this sign is a reminder to always give thanks. I am a sucker for mason jars! I mean, you can decorate with them, store homemade jam in them, use them as a pencil holder, and so much more. 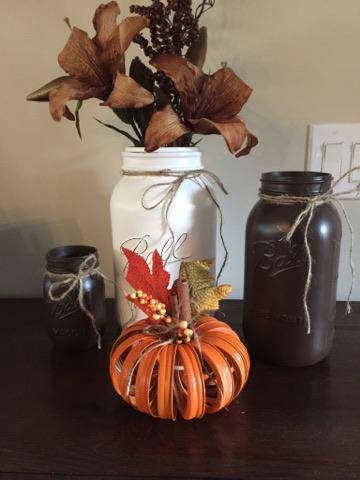 These Fall Mason Jars would be so cute with some fall colored flowers or tealight candles in them. I’m not a big fan of candy corn, but love candy corn decorations. 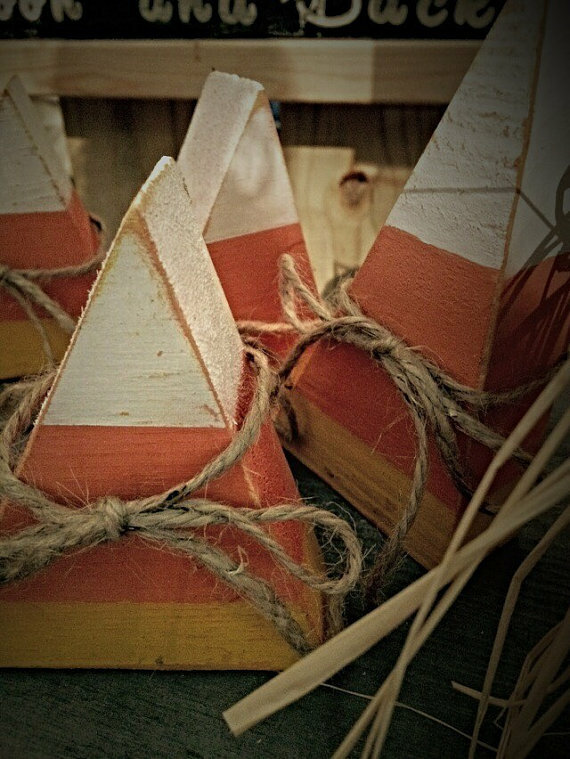 This set of three candy corn blocks are really cute and can double as a Halloween and Fall decoration. I absolutely LOVE reversible decorations! 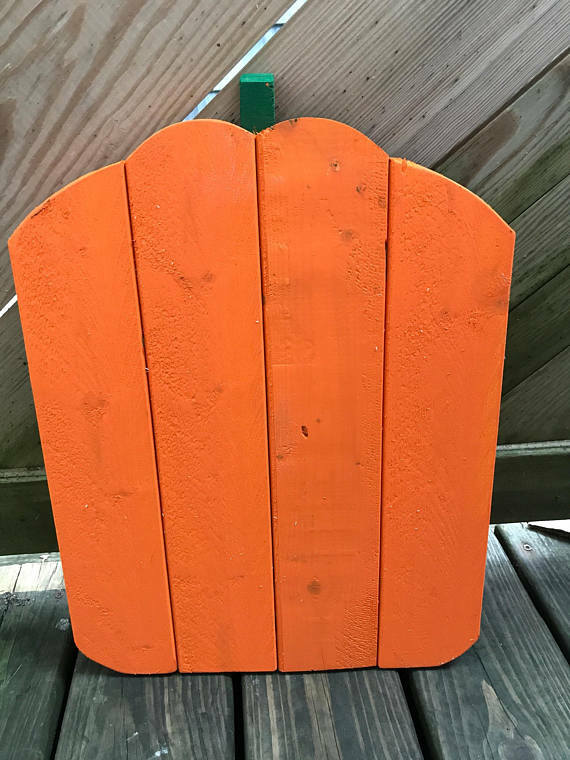 If you’re a fan of Halloween and Fall, this makes a great decoration plus it’s just $15! 10. 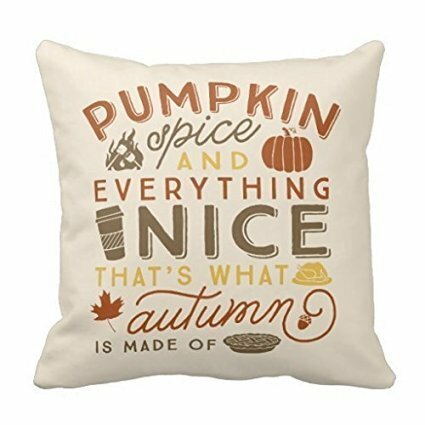 Pumpkin Spice and Everything Nice Throw Pillow Cover. This throw pillow cover is so cute! I love that it’s a cover, so you can change it out with each season and not have to store throw pillows. 11. Wooden Hanging Autumn Sign. I think this sign has everything that happens in fall covered! 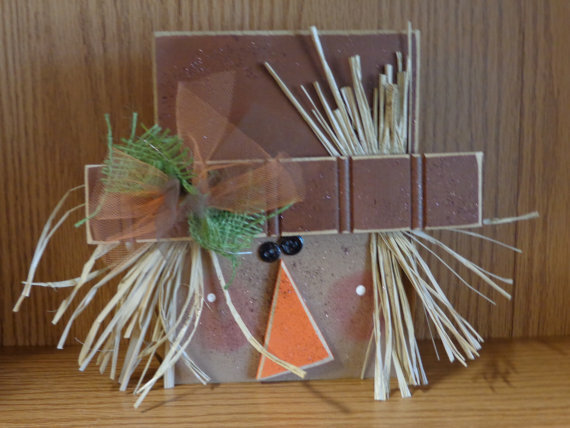 This handmade wooden rustic pumpkin is just too cute. Plus it doubles as a fall and Halloween decoration. 13. 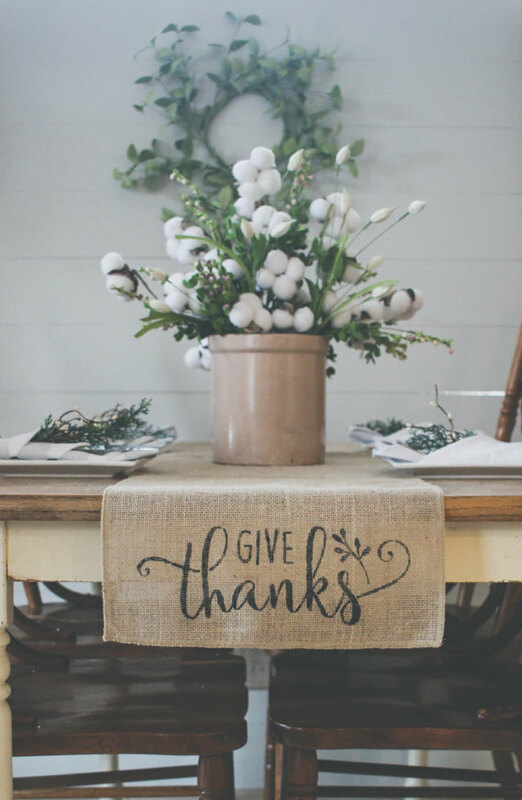 Burlap Give Thanks Table Runner. 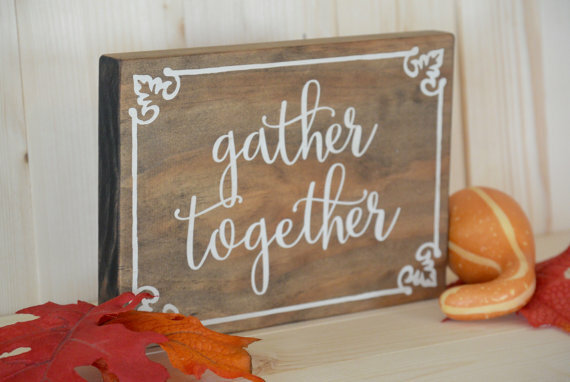 What good is a cute fall centerpiece without a table runner to set it on? Or is that just me? 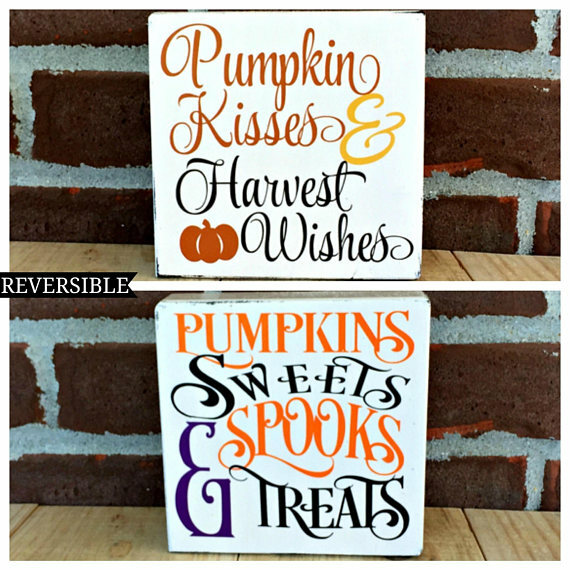 Have you seen the cute (and expensive) hand lettered pumpkins? Instead of paying $20 per pumpkin, you can purchase a decal for a few dollars and then buy a fake pumpkin to stick it on. Boom! Instant fall decoration on the cheap, and your friends will be none the wiser. 15. Chunky Scarecrow Shelf Sitter. Scarecrows and fall go together like peanut butter and jelly. This is such a cute decor item that will make your mantle or shelf its home. 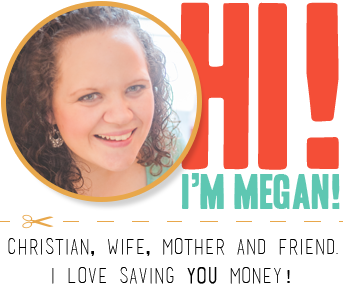 Looking for more ways to enjoy fall on the frugal side? Black & Decker 20-Volt Max Lithium-Ion Drill/Driver Kit $39.99 (reg. $69.60)-Today Only! 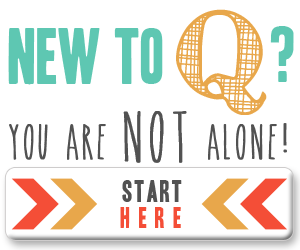 FREE Amazon Elements Vitamins or Supplements (with a $25 Purchase)!